Mr. Smith opened his law practice in a partnership with his father, the late J. Russel Smith, in 1978. Mr. Smith has litigated numerous complex civil cases in state and federal courts, and he has handled state and federal appeals cases, as well. 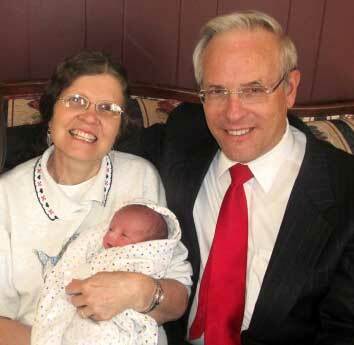 Mr. Smith’s clientele includes business and organizations (one of whom is LDS Family Services). But Mr. Smith’s clientele is primarily composed of many individuals, who need assistance with personal or family matters. Mr. Smith has also handled approximately 200 adoptions. He personally handles most of the matters brought to him, and he has a wide network of associates with expertise in those specific areas where specialists are needed. In addition to Mr. Smith’s extensive service in the legal community, he has participated and given extensive service in his church and community. In 2005, Mr. Smith was elected one of Frederick City’s five alderman (city legislators) and in 2010 he was elected to the Frederick County Board of Country Commissioners. From 1994 to 2000, Mr. Smith served as bishop of the Frederick Ward congregation of The Church of Jesus Christ of Latter-day Saints (also known as the LDS or Mormon Church). He has also coached youth basketball teams and baseball teams, including Frederick Babe Ruth (16-18) teams. Paul and Terry Smith have been married 42 years. They are the parents of 12 children, and they have 29 grandchildren. They moved to Frederick County in 1979. Through the years their children have participated in many school, church and community activities, including baseball, basketball, football, soccer, lacrosse, diving, drama, cross-country, school government and Singing Hands. He has been a leader in his church and in the Boy Scouts of America, from whom he was recently awarded the Silver Beaver Award. 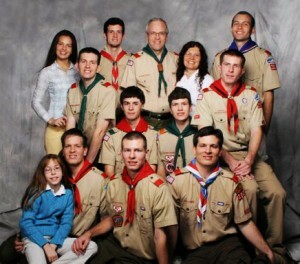 All nine of their sons are Eagle Scouts. Liaison to the Weinberg Center, the Community Action Agency and the FCC Board of Directors.